President- Organizes and presides at all PTSA meetings, coordinates the work of the officers and committees, special events and needs of the PTSA in order that the purposes may be promoted of our group. 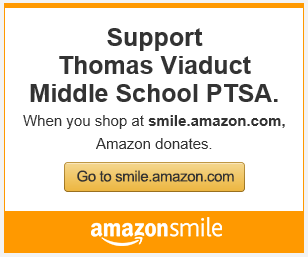 Reviews monthly bank statement and represents the PTSA at meetings, special events, etc. VP 1- Programming Activities Committee– Plan for unique events and activities for students and families. The programs should include cultural arts, Reflections, Social Events and others as planned by the TVMS PTSA. Arranges programs for general membership meetings, contacts presenters, sends confirmation notes, and arranges for audio visual. VP 2- Fundraising- Oversee the planning and execution of all fundraising activities of our PTSA throughout the year. Treasurer- Keep a full and accurate account of all receipts and expenditures of our PTSA. Makes disbursements as authorized by two board members. Responsible for preparing and filing all necessary tax forms. Secretary- Record the minutes of all meetings of our PTSA, be prepared to read the minutes of previous meeting, maintain a current membership list, and handle all thank you notes as needed for our PTSA. Hospitality- Oversee the planning and execution of staff appreciation events, including, but not limited to Back to School Breakfast in August, Staff Dinner in November and Staff Appreciation week in May. Reflections: Annual competition held from Sept-Dec by the National PTA to increase interest in the arts: literature, music, art, dance and photography. The committee informs families about the contest and responds to questions. They promote the program, collect, organizes and reviews all entries and submits the entries for judging. Winning entries are submitted to the state level for judging. Website: Maintain and update our website as needed. Will also help to maintain our Facebook Page and Twitter Account. Membership: Promotion PTSA membership and organize membership drives. Sunshine Family Coordinator– This individual organizes volunteers for the Sunshine Families. We have families or individuals to please commit to one month of bring ‘Sunshine’ to our staff with a small sign of our appreciation. We will reimburse up to $35 of receipts. It can be simple a candy bar or a treat during their lunch break. We do ask that you provide the sunshine within the first two weeks of them month!